Many of us look forward to retirement as the time to reap the fruits of many years of hard work, financial discipline, and wise investment strategies. A comfortable retirement involves leisure time spent relaxing at home, taking up new hobbies, traveling to more exotic and unique destinations of the world, volunteering, socializing with friends, starting a new and exciting side venture (business), and taking care of your health. Having the income to sustain your retirement lifestyle is directly related to how well you’re able to build a retirement investment portfolio that can survive bear markets. Before you hand over your hard earned retirement savings to a Wealth Management firm for investing, you must ensure you have the basics of what a well thought out investment plan looks like. 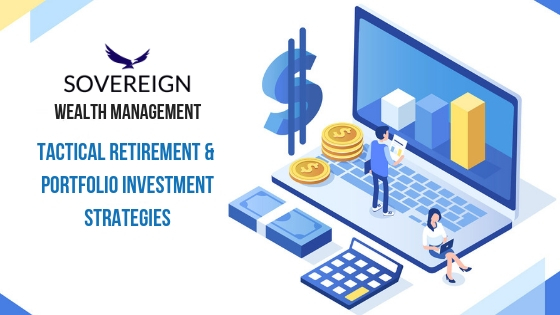 With the understanding of investment strategies of a company like Sovereign Wealth Management, you can build a substantial retirement investment portfolio that has potential to outperform in both bull and bear market conditions. How Do Market Linked CDs Work? A bear market is a period where stock prices are falling week after week, month after month due to weak or low investor confidence. Many times they are rooted in fear of losing money in stocks in the future, creating a downward cycle in price and increase in fear-selling and market volatility. The term “bear-market” gets its name from the way a bear attacks by drawing its paws down on its prey. A market with the majority of traded stocks on a downward trend is for that reason named a bear-market. A more “technical” definition would be a drop of 20% or more in the Dow Jones Industrial Average or S&P 500 throughout two(2) or more months. For your investment strategy to be profitable, you, or more importantly your Investment Advisor, Wealth Manager or Retirement / Financial Planner, must know how to effectively navigate a bear market. These are are just a few to keep a pulse on. This blog post outlines a few investment principles and strategies that have the potential to weather bear market cycles better than a buy and hold strategy. We also cover several more conservative product classes which do not involve risk of stock market losses. Equity markets are pulling back significantly over the past few weeks. Market volatility is high with large upswings and down swings happening with a week and sometimes within a day. As an investor, retiree, or soon to be a retiree, we should understand that predicting the future is ineffective and fruitless at best. Time would be better spent working with a capable financial planner to develop a plan that seeks to protect capital during various macroeconomic scenarios. Wise retirement-minded investors understand that while all capital protection plans are well intended and are not perfect, they may be more effective at protecting a portfolio of investments from significant drawdowns over time. Wise investors should look to data-driven financial models that are consistently performing, offering capital growth and maximum capital protection, versus trying to invest via a particular macroeconomic cycle. Embrace the concept of “the trend is your friend.” There is a huge amount of supporting research where investors can avoid significant drawdown in their portfolios leverage the main trends and asset prices, thereby optimizing risk and returns for their portfolios. If the 5-Day moving average is more than the 20 moving average, you’re fully invested in the S&P 500. Implement a Relative Strength of Rotation Strategy. This investment methodology centers around comparing different asset classes to each other to evaluate which ones have superior relative strength and buying the few strongest while selling the weakest every month. When even the stronger of the asset classes in the strategy fall below a market moving average, like the 10 month or the 200 day moving average, the portfolio can shift partially or fully into cash or a Treasuries to weather the storm. Combining trend following and relative strength means investing only in assets that are rising in price over the long term, and also picking only the strongest names among the ones that are rising in price. The Certificate of Deposits (CDs) is a common, if boring way, of saving money that we are all familiar with. CDs are offered by every bank here in the US to its customers and based on a fixed duration with a fluctuating interest rate. This strategy is best for funds needed in the short term or for investors who cannot bear losses in their portfolio. The amount of interest paid on CDs is unlikely to outpace inflation, especially after accounting for taxes. A market-linked CD is also known as equity-linked CD. It is an investment vehicle that is linked to one or more securities or market indexes or a combination of both. The moment the market fluctuates so does your CD. If the Index the CD is linked too grows in value so does the return on your CD, depending on the terms of the specific CD issue. The potential for partial stock market linked returns without the downside risk is what makes this strategy attractive. However an investor should expect only partial exposure to the upside of the stock market, as they are investing in something which is protected from downside risk. Let’s say an index sees a gain of 10% and your CD has a participation rate of 60%. Your CD won’t reflect the 10% market gain. Instead, your CD will see a gain of 6%, or 60% of 10%. If the market takes a downward trend, there is a chance that your Market-linked CD will not pay any interest. Some market-linked CD issuers protect against this by offering a guaranteed base return. CDs have to run their full duration, or fixed term agreed to at acquisition. These durations range from 6 months to 10 years depending on the rate of return (interest rate) you’d like to earn. 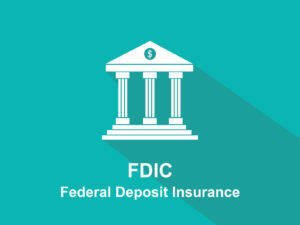 If a need arises and you need to withdraw cash or close out the CD, you could face steep discounts that eat into your interest and principal depending on the terms. The results may be a minimum payout which would have been different at the maturity of the investment. The issuing bank can "call" the CDs. The bank calls in the investment before the due date. The payout may either be big or small. The bank can decide to call in the investment when it seems to be doing well. In that case, your investment earns you money. The reverse happens when the investment is not doing so well. The early calls can be an issue as the investment can improve after some time to make better returns at maturity. Market-linked CDs can certainly be worth the time and risk involved from an investment perspective. They can make you much higher returns than a typical CD if the market is trending or stays positive. However, they can result in no returns over many months and years if the market/economy is trending downward or not doing well. Market-Linked CDs can also be a sound strategy for an investor waiting out the bear market but still wants to participate on at least some of the gains if the bear market ends before the CD matures. A fixed indexed annuity allows an investor to receive a rate of interest linked to a stock market index, a bond market index or a combination of both, for a given period of time. Fixed indexed annuities are meant to compete, in the same wheelhouse, with bonds and CDs,” said Mark J. Orr, a certified financial planner and author of “Retirement Income Planning: The Baby-Boomer’s 2017 Guide to Maximize Your Income and Make it Last. Fixed indexed annuities can provide potential higher returns that cannot be lost to bear markets, and they can offer an optional guaranteed lifetime income,” Orr said. “Neither bonds nor can CDs do that – however they are more liquid than fixed indexed annuities. Typically fixed indexed annuities don’t have management fees, and they come with the safety of your premium and credited growth guaranteed by an insurance company. This means that during years of negative stock market returns (bear markets) there is no downside risk, just a period of zero credited growth. Investments of any kind must be weighed in light of risks the investor is willing to take. Many investors looking to retire should consider a percentage of their portfolio in fixed indexed annuities and market-linked CDs as a source of stability when stocks and bonds are in a falling market. This class of investments does not trade on the stock or bond markets and involves documentation to purchase as well as high minimums such as $50,000, $100,000, $250,000 or more, and lockup periods of 3 years or longer. It also often requires the investor to meet high liquidity and net worth thresholds in order to qualify. Despite all these hurdles, Private Placements are often more attractive than public investments due to lower volatility in the share price as well as potentially higher interest payments they often pay their shareholders. These investments can be private loans to real estate developers, and businesses, as well as Hedge Funds investing in sophisticated market based strategies. Sovereign Wealth Management customizes retirement income portfolios for clients which often include a combination of tactical and long term stock investment strategies, bond strategies, market linked CDs as well as fixed indexed annuities and private placements to provide a robust and solid foundation for a Retirement Income Strategy. Smart strategies lead to wise investments. Better investments lead to a better retirement lifestyle. These strategies must incorporate asset protection plans that allow for minimized losses and higher returns in bear markets. For your retirement and investment portfolio to have the highest earnings potential, understanding various investment principles and the difference in investment opportunities is critical in weathering bear markets. Sovereign Wealth Management’s Team of Research Analysts and Advisors can help you with your investment strategies as we move into a highly unstable time for US and global equity markets. The content provided is for informational purposes only and should not be considered a recommendation of any particular strategy or investment product or investing advice of any kind. Information contained herein has been obtained from sources deemed reliable but Spire Wealth Management, LLC and its affiliates do not guarantee its accuracy. 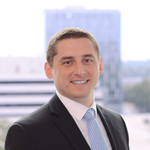 The views and opinions expressed in this article are those of the authors and do not necessarily reflect the opinions of Spire Wealth Management LLC, Spire Securities LLC or its affiliates. Investing involves risk, including the possible loss of principal.